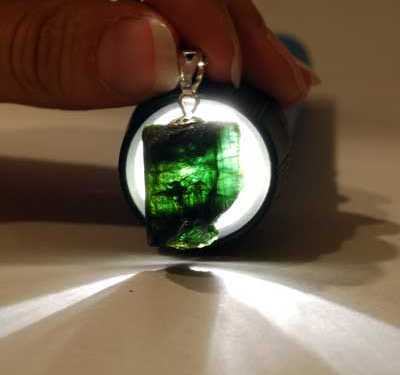 Can Green Tourmaline Enhance Athletic Performance? What is your opinion on green tourmaline's effects on increased athletic performance? I've read it works, and if you agree, what is the best way to use it to increase one's performance? Should men and women use/wear it differently? Thank you for your question about whether Green Tourmaline can enhance a person's athletic performance. I had never heard about using Green Tourmaline for that purpose so I did some research and uncovered some really interesting information. The basic theory is that Green Tourmaline carries a lot of male energy and it balances the male and female energies in your body (Pink Tourmaline is the "female energy" equivalent) and maximizes your life force. It specifically assists with physical activities by strengthening any weaknesses. Here is a link to an article that addresses the topic and goes into detail about the benefits of Green Tourmaline. The article offers insight and suggestions on the benefits and uses for both men and women. As to whether I think it is valid....I think Green Tourmaline is an amazing crystal and I wear one every day so I believe that it does offer energy that helps us both mentally and physically. Truthfully, I don't typically wear any jewelry when I workout but I will give it a try at my next Zumba class! Please remember that crystals are for healing and should be used as a compliment to other therapies and not as a replacement for regular medical care. Crystals are not a medical treatment and should not be used as a replacement for medical care. Please consult your healthcare specialist for your particular needs. Thanks again for writing in and your support of Healing Crystals.com. I would love to hear back about the Green Tourmaline and if it helped you with your athletic pursuits. Wishing you lots of love and light!